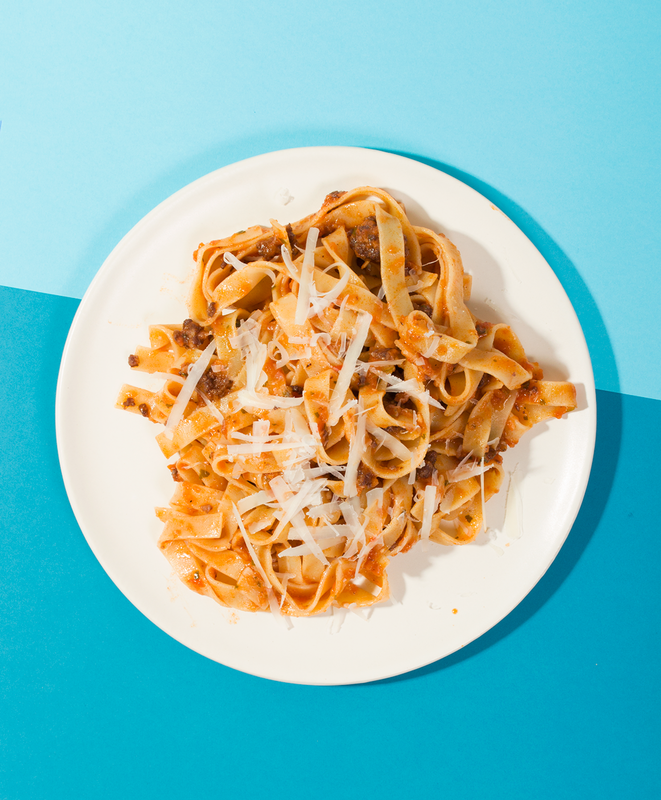 Hiiiii, it’s currently Tuesday which means tonight is a weeknight which means you should probably make this ragu. I mean, technically this a seven days a week ragu, but weeknight ragu sounds kewter. This ragu is brought to you by the letter W.
W is for Whip it Up!, Wine, and Whitney. This recipe is actually from the book, this is something you can whip up, just whip it up with all the whipping it up. There’s wine in there, and Whitney is a friend of mine that has a killer youtube channel dedicated to wine that I really enjoy watching. I’m not a big wine drinker but I’m not shitting you when I say I’ve watched every video. It also just so happens that I’m making an appearance on there today with this goodness, loaded with the wine, pretending the intro is either a Japanese game show or a weird episode of Pokémon. We’re putting wine in your food! but you know about it, it’s not like we’re sneaking it in there. So if you’re coming from over there, welcome! and if you haven’t watched it yet go over and watch how awkward I am when I eat pasta/just stand there with I’m sure a creepy smile. The thing that makes this weeknight worthy is that it comes together in less than an hour with very little hands on time. Most of it is just waiting for things to brown, liquid to evaporate, etc, and the sauce itself is made in a blender, onion chunks and all. I got you boo. If you want to see what I look and sound like then head over here but if you’re like nahh I just want some ragu then scroll on hater. While that’s happening, make the tomato sauce by blitzing everything else except the wine (or stock) and pasta, obvs, in a blender until smooth. Once the meat has browned and the fat’s rendered, making brown bits on the bottom, deglaze the pan by adding the wine or stock and scraping all the bits up. Cook for about 5 minutes until almost all the liquid has evaporated. 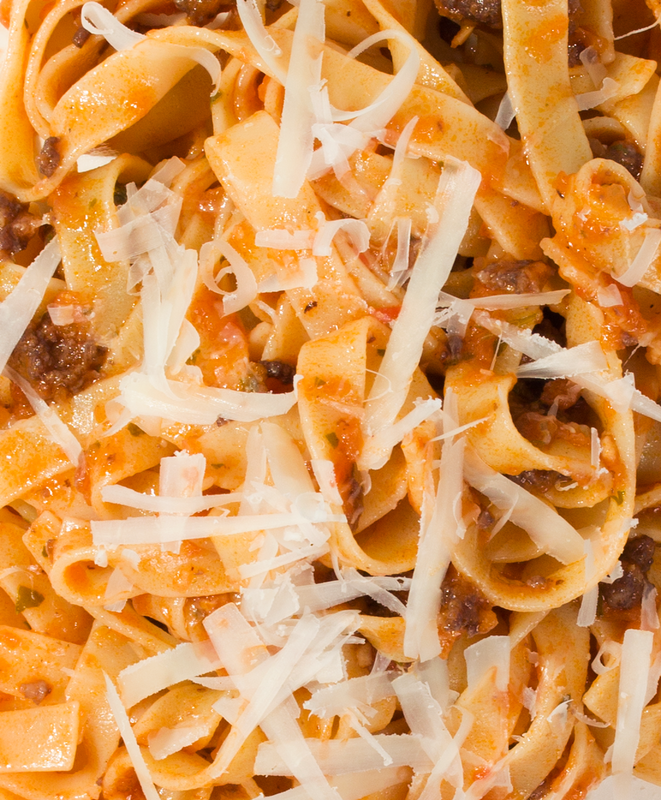 When the pasta’s done, toss with the sauce and serve with a load of parmesan cheese. I cant find your video… sad face…. maybe it will be put up later today? Looooove the video. You don’t look like a vampire! I looooooove this easy weeknight dish. Oh yes!!! You were awesome! And this pasta is where its at. I heart me some sausage + wine + easy!